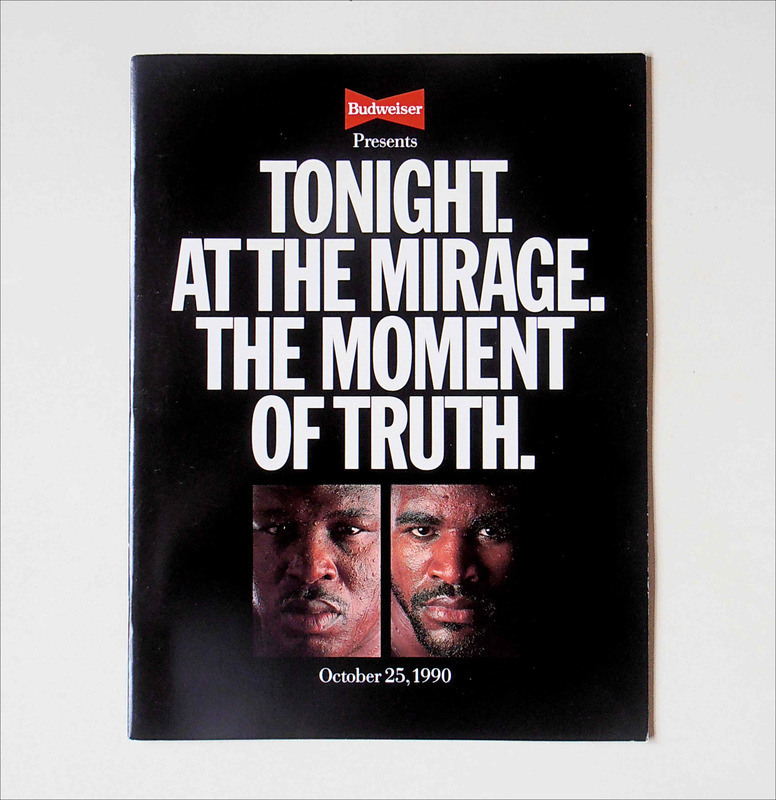 Description : Here we have an official Mirage fight night program, Billed as "The Moment of Truth", took place on October 25, 1990 for the WBA, WBC, IBF, The Ring and lineal Heavyweight championships. The bout took place at The Mirage in Paradise, Nevada, USA and saw Douglas making the first defense of the titles he won from Mike Tyson in February 1990. I had the good fortune to have attended this fight at the Mirage! 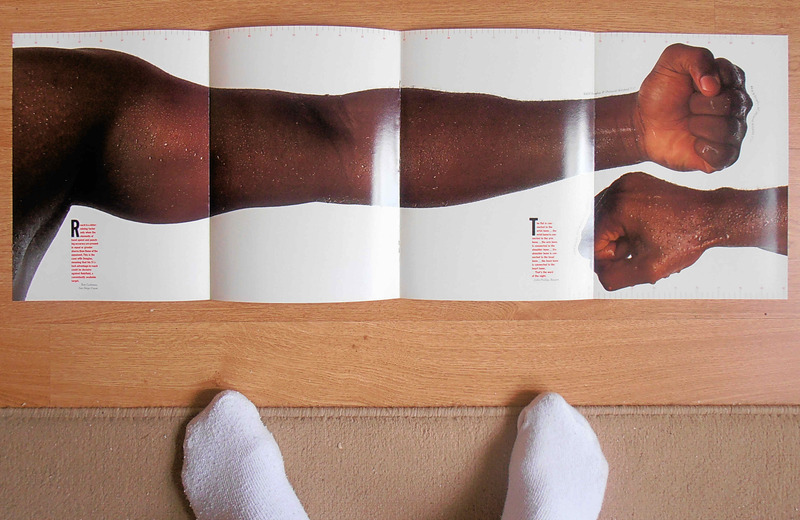 An out-of-shape Douglas came into the fight weighing 246 pounds, 15 pounds heavier then he was for the Tyson fight. Holyfield, meanwhile came into the fight at 208 pounds and dominated the sluggish Douglas, winning both the first and second rounds. 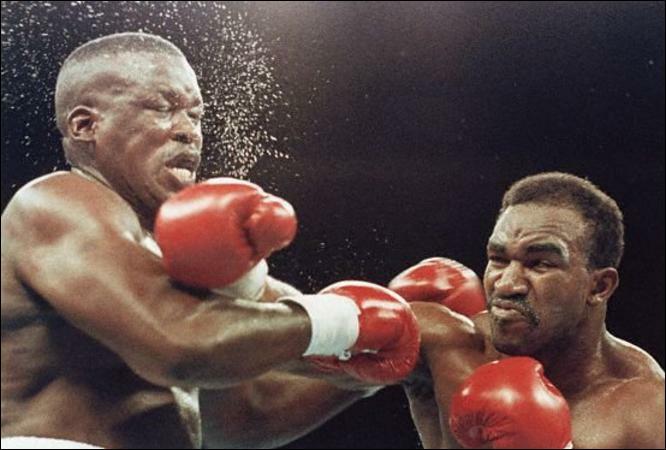 In the third round, Douglas attempted to hit Holyfield with an uppercut. Not only did Douglas telegraph the punch, he missed Holyfield completely and knocked himself off balance. Holyfield countered with a straight right to Douglas' chin, knocking the champion flat on his back as referee Mills Lane counted him out. Douglas remained on the canvas for several seconds after the knockout and needed to be helped up twice before he got to his corner. Douglas was heavily criticised for both his excessive weight gain and his lackluster in-ring performance. His former promoter King was particularly critical, shooting down any chance of a Douglas–Tyson rematch while also calling Douglas' performance "disgraceful". Douglas left boxing to enjoy his financial rewards. By losing his title to Holyfield, Douglas was now free from any contractual obligation to Don King or so he thought! He still had to hand over $7 Million to King by way of compensation for not rematching Tyson. When you consider that King had conspired to cheat Douglas out of his incredible victory that night in beating Tyson when he conspired to get the result overturned due to the "Long Count" in the 8th round when Douglas was decked by a Tyson Uppercut. It's a bit rich to have to compensate someone of the nature of Don King!